Find a little Eden inside Pearl Friar’s Topiary Garden…insanely beautiful plant sculptures, intricate landscaping and humorous ornaments. It’s peaceful, calm and humbling. Admission is FREE, yet donations are always welcome. Park on the side of the road and tour the garden at your own pace. Keep in mind the “Garden” it’s pretty much Mr. Friar’s front and backyard so be respectful of his privacy. If you’re lucky you can catch him working on his masterpieces. 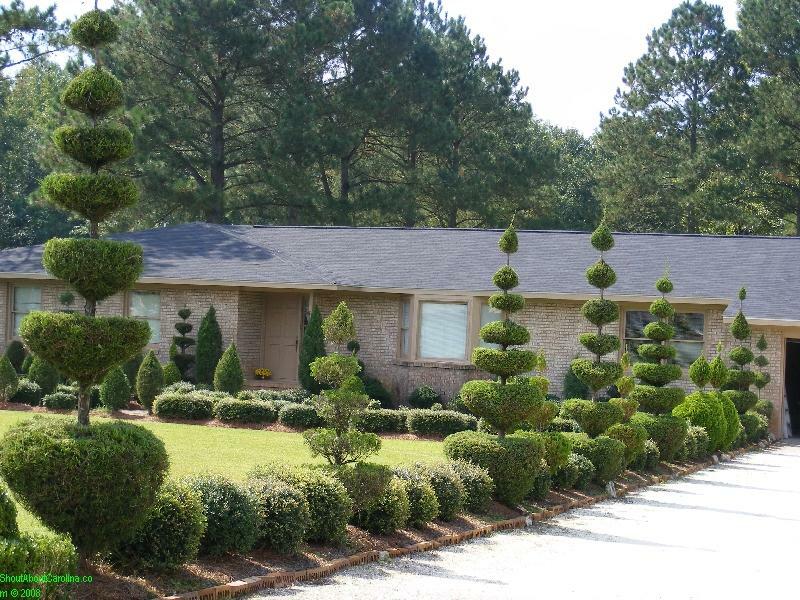 The landscaping is mind blowing…from few inches to 30 feet high! My favorites were the triangle in front of the yard, the Indian arrow point like tree towering over the garden, the funny tree stomp decorated with a human face and the miniature water wheel sculpture. Take a look at this slide show and choose your favorite. Of course nothing beats seeing it live! Don’t forget to also visit the Button Museum just few miles away. You’ll be lucky to get a personal tour from the Button King himself, the incredibly humble Mr. Dalton Stevens. Here is a custom Google Map with fun, inspirational and very affordable attractions. Pearl Friar’s masterpiece garden was just featured in an HGTV episode. Another reason to go visit.